Electric car purchases are on the increase, so it comes as no surprise that the government has said most new cars MUST be electric by 2030. This is part of the 25 year environment plan unveiled to leave the environment in a better state than when we found it. It is anticipated that by 2040 no new purchases of petrol or diesel vehicles will be made, paving the way for the electric car to dominate the roads. With the government now offering a grant for an electrical charging points installation, there has never been a better time to make the switch. 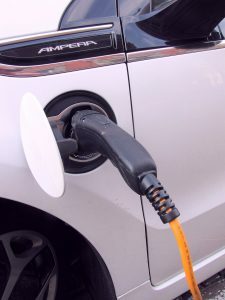 The Electric Vehicle Home Charge Scheme and The Workplace Charging Scheme. They are pretty much exactly what they say, the home charge is for vehicles purchased for personal use and the workplace for businesses. The grants are available for the up front cost of the purchase and installation of the car charging points up to £500, and are available to everyone providing your vehicle is on the approved list here. We have seen a dramatic increase in enquiries for both personal and business charging points, and with manufacturing giants such as Tesla, BMW and Audi adding electrical vehicles to their catalogue we predict them being the next ‘must have’. To find out about our electric car charging points installation service fill in the online form, visit our electric car charging points installation page or call us on 01302 730 600 today!